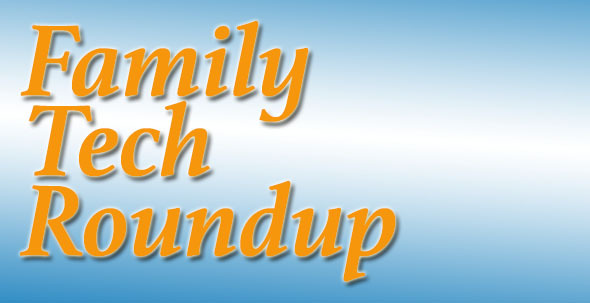 Welcome to this week’s roundup of family-related technology news. This week we have problems for Facebook, concerns over YouTube Kids and a net-connected Barbie, life-saving technology for developing countries, STEM/STEAM toys, and the Masterpiece software for Osmo. Talking “Big Brother” Barbie doll? Social network giant Facebook is to face a class-action lawsuit in the US following thousands of complaints from parents who say their children have bought “Facebook Credits” using their credit/debit cards. District Judge Beth Labson Freeman suggested California state law protected parents and children when minors “occasionally use their lack of judgment” and buy things they’re not authorised to. Facebook isn’t the first site to face this kind of complaint, and is unlikely to be the last. On the one hand, many online services have designed systems to allow very easy purchase of physical items and virtual credits/currency. In fact, it’s in the retailer’s best interests to simplify and expedite this process, as it tends to lead to higher sales. Amazon, iTunes, Facebook and many others offer this kind of service. On the other hand, parents who have been rather lax with their own security – allowing their kids access to various of their online accounts – can end up being stung when their accounts are used. It will be interesting to see which way this case goes. In Facebook’s case there are additional issues. Anyone over the age of 13 can sign up for an account (although we know many younger children simply lie about their age to obtain an account). Yet Facebook tends to treat these minors in the same way as it does over-18s. This, combined with sometimes obscure or misleading information by linked apps/games, may lead to unwanted spending. Last month Google released a free application for Android and Apple smartphone/tablets designed to provide a child-friendly interface into YouTube. It claims to filter out adult/questionable material, hides comments, and doesn’t allow the user to register or log in to the service. It also highlights TV shows, educational videos, music and other ‘safe’ content. However, there are concerns that this will feed a growing addiction to digital content by an ever younger audience. Whereas in the past, parents may have either been concerned by – or resorted to, children sat in front of hours of TV – the goggle box is now personalised, controllable, and with an endless supply of content. Not only that, but the free app is advert supported. We’ve got used to advertising on commercial kids TV channels, of course, but the concern is that online advertising is still less mature, more diverse, and with less quality/content control. While Google claims it will filter out unhelpful ads, including those for junk food, one has to wonder how much a private company, driven by profit margins and with far less regulation than traditional broadcasters, will push out content parents are happy with. That said, as always, it is the parents’ responsibility to ensure they monitor what and how much media their children consume. If you’re a parent who has never heard of STEM / STEAM toys, you need to listen up, as they’re becoming big business. Yes, we know that toy marketing isn’t exactly gimmick free, but in this case, we’re seeing a proliferation of educational toys which at least claim to help your child with key skills at school. STEM (Science, Technology, Engineering, Maths) and its relative STEAM (the A is for Art) is the latest buzzword in the children’s toy and games market. Although any toy can be educational, to some degree, STE(A)M products are specifically designed to help your child explore the world around them, to build things, code things, and learn about science. There are a huge number of toys available, some better than others. Marketwatch has come up with its own list of favourites, including the banana piano, Roominate, Lego (of course), Vex Robotics, GoldieBlox, chemistry sets and Meccanoid. The latest technology innovations can be effectively used in developing countries to reduce the number of women and children dying from preventable causes, if they are rolled out en masse. “There are now over a thousand new innovations that are in the pipeline, that have been developed under the umbrella of Every Woman and Every Child,” said Nana Taona Kuo, senior manager of United Nations initiative Every Woman Every Child. Tech already making a difference includes a mobile app which uses medical sensors to diagnose low oxygen associated pneumonia in newborn babies and pre-eclampsia in pregnant women. Maternal and infant mortality rates could be cut by 30% in the next decade if this technology is made widely available. Every Woman Every Child has a list of 49 focus countries into which $34bn has been distributed since 2010, with another $26bn already available. In 2013, over 17,000 under-five deaths and 800 maternal deaths were recorded globally, so there is much still to do. Projects like this are making a real difference. Apparently it’s been the number one request from little girls for years: to be able to have a conversation with Barbie and have her talk back. Now that dream could be a reality, as Barbie makers Mattel are set to launch an Internet-ready doll which utilises speech recognition in order to send back canned responses. Unsurprisingly, many people are not happy about this. Although the Wi-Fi enabled doll requires parental permission to operate, there are issues surrounding exactly what is being recorded, when it is being recorded, and how it is being stored and safeguarded. Creative play is about one of the most intimate experiences a child has. Their imagination can run wild, and they often have very meaningful conversations with their toys. After various concerns about other less cute gadgets, such as smart TVs, being able to capture and store customer’s voices, it’s no wonder some parents are uneasy about Barbie’s latest tech addition. Mattel, of course, say that there is nothing sinister about the doll. With permission, they will use the audio recorded in order to improve the product, but they insists they use the highest security to ensure no unauthorised access or use of that information is possible. Another issue is whether the $75 “Hello Barbie” could ever be ‘hacked’ or remotely controlled. Though Mattel, and its partner ToyTalk who provide the voice recognition software, are sure their system is secure, we’ve seen before what happens when innocent toys and gadgets are compromised. We also don’t currently know whether the doll will be able to transmit its current location. It would almost certainly have to communicate its Internet (IP) address in order for the ‘conversation’ to take place. Ultimately, if a parent doesn’t like the concept, they simply need not to buy the doll. It does raise interesting questions on how far we’re prepared to go when it comes to putting tech in toys. OK, firstly “What’s Osmo”? Osmo is a gaming accessory designed to fit the Apple iPad tablet. And now we see a really cool art application called Masterpiece which works with Osmo. The video below gives a great example. Take a photo with the iPad, then use it as the basis for a drawing, combining other elements and creating a unique, “real world” piece of art. As you can see, the software helps children (or adults) learn to draw by guiding them with an onscreen pointer. Masterpiece includes a safe Internet image finder, “Autoline/Autoshade” which intelligently displays drawing lines on a photograph, full control over image elements on the iPad, plus time-lapse video capability which lets you play back the creation of your artwork.